JANUARY 2011 UPDATE -- During January we prayed for . . .
VICTIMS OF TERROR, after dozens of Christians were killed and well over 100 wounded in terror attacks targeting Christian districts and churches in Northern Nigeria, Iraq and Egypt over the Christmas - New Year period. * UPDATE: Sectarian violence continues to plague Jos, Nigeria. Armed Muslim gangs have attacked Farin Lamba in Riyom Local Government Area and Fan in Barkin Ladi Local Government Area, five times in the last two weeks. The death toll stands at 34. According to reports, some of the attackers have been dressed in military fatigues, including body armour. Meanwhile in Mosul, Northern Iraq, gunmen burst into the surgery of the prominent cardiologist Dr Nuyia Youssif Nuyia on 15 January and shot him at point blank range. Dr Nuyia, a devout Chaldean Catholic and father of four, survives with serious injuries. Violence also continues to plague Egypt. On 11 January a policeman shouted 'Allahu Akbar' before shooting six identifiable Coptic Christians travelling together on a train between Assiut and Cairo. In a move to reduce Coptic fears, the government has sentenced to death the perpetrator of the Nag Hammadi church massacre. Still, one Egyptian Christian described the environment like being in a room full of gas waiting for someone to light a match. * PRAISE GOD: On 25 January Al Arabiya reported that Egyptian security forces had arrested 19 would-be suicide bombers who were ready to launch attacks on places of worship nationwide. Police also seized weapons and documents belonging to al-Qaeda, including plans and maps for places of worship in southern Egypt and Alexandria. Please thank the Lord and pray that he will continue to frustrate the ways of the wicked (Psalm 146:9). IRAN, where at least 70 Christians, mostly converts from Islam, have been arrested in a government crackdown on apostasy and Protestant fellowships. * UPDATE: The Ministry of Islamic Guidance arrested Pastor Vahik Abrahamian and his wife Sonia Keshish-Avanesian (both in their 40s) and Arash Kermanjani and his wife Arezo Teymouri (both new Christians in their early 30s) on 4 September 2010. Having been warned that any public statement would elicit severe consequences, their families initially kept quiet. However, since these couples have now suffered four months of imprisonment with 'intense physical abuse and psychological pressure', their families have decided to go public with an appeal for prayer. Please honour this courageous act of faith by praying for Iran's imprisoned Christians and for God to demonstrate his supremacy over the regime of President Ahmadinejad and Ayatollah Ali Khamenei. CENTRAL ASIA, where harassment and persecution is escalating as authoritarian regimes repress anything that could threaten the status quo. JANUARY 2011 ROUND-UP -- also this month . . .
International Christian Concern reports that Eritrean security officials have recently arrested more than 100 Christians. On New Year's Eve the entire 41-member congregation of Philadelphia Church in Asmara was taken into custody for questioning, with some reportedly being beaten. On 9 January, 35 worshippers were arrested as they prayed together. The regime of President Isaias Afewerki is one of the most violently abusive in the world. More than 3000, mostly Protestant Christians of all ages, are imprisoned for their faith in Eritrea. Conditions are inhumane and torture is routine. On 4 January Lao officials arrested 11 Christians (including children) at gunpoint, accusing them of holding a 'secret meeting', a political crime. Compass Direct reports that eight have been released but three church leaders -- Pastor Wanna, Chanlai and Kan -- remain behind bars in Khammouan Provincial Prison. The 11 believers had gathered with permission from village authorities to celebrate Christmas together over a meal at Pastor Wanna's home. Prison conditions are inhumane and torture is routine. Hezballah established its military supremacy in May 2008 when it laid siege to Beirut in a violent blitzkrieg. After Prime Minister Saad Hariri's Sunni-dominated, US and Saudi-backed 'March 14 Forces' narrowly won the elections in June 2009, they appeased Hezballah by forming a National Unity government and awarding Hezballah key cabinet portfolios. When PM Hariri refused to disavow the Special Tribunal for Lebanon (STL) investigating the February 2005 assassination of PM Rafik Hariri (his father), Hezballah and its allies walked out of the government on 12 January 2011, forcing its collapse. On 18 January, as the STL handed over its indictment (believed to implicate Hezballah), black-clad Hezballah militants fanned out across several Beirut neighbourhoods in a show of force. On 25 January the parliament voted to install the Hezballah-backed candidate, Najib Mikati, as Prime Minister. Hezballah's 'creeping coup' is complete. 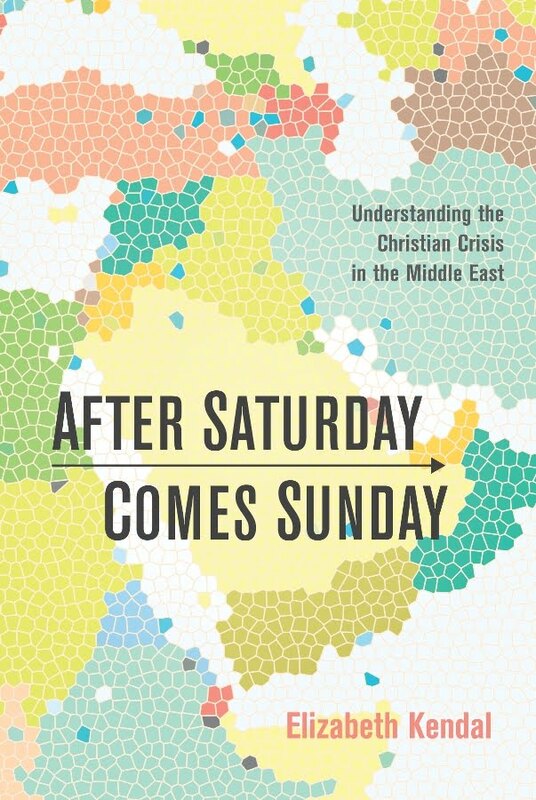 As noted by Michel Aoun, a Christian leader and key ally of Hezballah, 'The country is moving from one stage to another, from one approach to another.' Hariri supporters have rioted in the streets of Beirut and Lebanon is on the brink of internal warfare. Pray for the Church in Lebanon, particularly that Christians will seek security in Christ who is faithful and supreme, and not in the shade of treacherous powers that stand condemned. Early on 6 January al Shabaab Islamic militants arrested Asha Mberwa (36), a Christian mother of four children aged 4-12, outside her home in Warbhigly village on the outskirts of Mogadishu. At 5:15 pm on 7 January, they executed her for apostasy (rejection of Islam), publically cutting her throat in front of village witnesses. Her husband, who was not at home at the time, has fled to an unknown location, while a 'good Samaritan' in Mogadishu is caring for their distraught and traumatised children. Please pray for Somalia's besieged and imperilled Christian community, and that God will demonstrate his supremacy over al-Shabaab. Just like all secular Arab dictators, Tunisia's President Zine al-Abidine Ben Ali respected religious freedom and enforced secularism while brutally repressing all political opposition, especially fundamentalist political Islam. In 1989, when the Islamist party al-Nahada became the second largest political party in Tunisia with 17 percent of the vote, Ben Ali banned the group, jailed its followers and sent its leader, Sheikh Rashid Ghannouchi, into exile. Whilst Islamists have in no way driven the recent popular uprising, they will certainly benefit from its effects. Salah Jourchi, a Tunisian expert on Islamic movements, comments, 'The Islamist movement was the most oppressed of all the opposition movements under Ben Ali. Its followers are also much greater in number than those of the secular opposition.' Sheikh Rashid Ghannouchi will return soon to Tunisia from London. According to the Arab daily, Asharq Alawsat, many other exiled Tunisian Islamists are likewise preparing to return. Furthermore, dozens of convicted Islamists have reportedly 'escaped' from Tunisian prisons since the overthrow of President Ben Ali. A battle for Tunisia may be about to begin. Pray for the Church in Tunisia, that religious liberty will survive and that free Tunisians will resist the dictators of Islam. concern for and involvement in Russia and the former USSR. 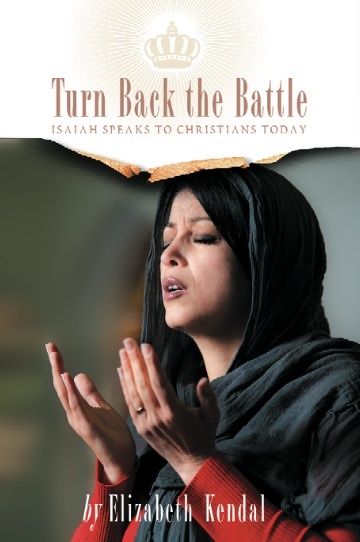 There have been many encouraging answers to prayer for the Church in Central Asia: the unity amongst the Protestant churches is growing; there are many testimonies about a growing interest in the Good News amongst Muslims in Central Asian countries; many churches have a missionary vision for reaching out to the neighbouring Muslim countries with the Gospel of Jesus Christ. However, the churches in Central Asia still need daily prayer support amidst continuing restrictions and persecution. In 2010, the churches were raided by police, numerous Christians were detained and fined, while some were sentenced to short term imprisonment. Pentecostal pastor Dmitry Shestakov served his fourth year in prison and is due to be released this month. A Baptist believer, Tohar Haydarov, was sentenced to 10 years' imprisonment in a labour camp on fabricated drug charges in March 2010. The most restrictive situation remains in the Karakalpakastan region where none of the churches have been able to register. The authorities insist that individual believers must get permission even to have a Bible. A decision on new religious laws is possible in 2011, bringing even more restrictions on religious freedom in Uzbekistan. Religious freedom is under the strict control of the authorities in Turkmenistan. Only a small number of churches are registered, while many others have been unsuccessfully trying to get registration for years. None of the ethnic Turkmen churches was registered. The unregistered churches meet secretly in homes, often changing meeting places. Police regularly raid the houses of believers, confiscating and destroying Christian literature. Pastor Ilmurad Nurliev was sentenced to four years in prison and forced medical treatment under a false accusation of drug addiction in October 2010 and is now in a labour camp that has extremely tough conditions. He has not been allowed to have a Bible since his arrest in August. He has diabetes and has been denied necessary medication. He was excluded from the recent prisoner amnesty. Religious freedom has been steadily deteriorating in Azerbaijan over the last few years. Since changes to the Religious Law were adopted in May 2009 the churches have faced problems with re-registration. Many have been denied registration and unregistered religious activities are illegal. Believers have been interrogated and fined when their gatherings have been raided by police. In October 2010 police raided the house where 80 members of an unregistered Baptist church were celebrating Harvest Festival. Four of them were arrested and sentenced to five days in prison. On 11 December an Adventist church was raided by police and its members were interrogated and fined heavily. New amendments to the Code of Administrative Offences are expected to be discussed in the parliament and if approved would impose even heavier fines for unregistered religious activities. In Kyrgyzstan 2010 was a year of political riots and ethnic clashes, which affected the church as well. The church leaders hope that the highly restrictive religious law brought in by the former president Bakiev will be radically changed under the new government and restored at least to the level the country had before Bakiev. The churches are actively participating in helping those who lost their homes and businesses as a result of ethnic clashes between Kyrgyzs and Uzbeks in Osh. Kazakhstan currently chairs the OSCE and proclaims religious tolerance. The Christian community is concerned that after 2010 the legislation will be changed imposing more restrictions on religious activities. While the majority of religious groups worship without government interference, the activities of unregistered minority groups, including some evangelical churches, are considered illegal. Some pastors and church members were fined for unregistered 'missionary' activities. In March 2010 new missionary visa regulations came into force that caused growing difficulties for some religious communities. * the growing unity amongst the churches, the growing interest in the gospel amongst Muslims, and the missionary vision of the churches in Central Asia. * God to sustain those who are in prison: Pastor Ilmurad Nurliev who was jailed for four years and forced to undergo anti-drug medical treatment, but denied his diabetes medication; Tohar Haydarov in Uzbekistan who was sentenced to 10 years in prison in March 2010; Pastor Dmitry Shestakov now due for release from his four-year imprisonment, and for his subsequent care and protection. * positive changes in religious legislation in Central Asian countries. * the churches in Central Asia to be filled with God's Spirit of power and wisdom to preach the Good News to local Muslims and to reach out to the neighbouring Muslim countries. * labour migrants from Central Asia, that many of them will be saved where they go away to work and bring the gospel back to their home countries. Good News back to their home countries. The Central Asia churches are experiencing greater unity and a desire to reach out to local and neighbouring Muslims. Please pray for religious freedom and outreach. Early on 25 & 26 December 2010 armed plain-clothed agents from the infamous Ministry of Intelligence and Security (MOIS) raided the homes of Christians known to be converts from Islam and/or active in witnessing to Muslims. As well as confiscating CDs, Bibles, religious books, computers and personal documents, they arrested 25 Christians. Sixteen other Christians listed for arrest were not home at the time of the raids and remain unaccounted for. Further to this there are unconfirmed reports that as many as 50 other mostly young believers have since been arrested. Amongst those detained are five married couples, one of whom has been separated from their two-year-old child and another from their breast-feeding infant. The detained Christians are being interrogated and coerced. Eleven have since been released after signing documents promising to refrain from Christian activity. The detained believers are virtually all converts from Islam. It is illegal in Iran to share Christianity with Muslims or preach the gospel in Farsi, the Persian language. It is also illegal for a Muslim to reject Islam (apostasy). Farsi-speaking Iranian Muslim converts to Christianity must worship therefore in illegal 'underground' fellowships. In September 2010 an appeals court upheld a death sentence against Pastor Youcef Nadrkhani, convicted of apostasy. The sentence is being delayed to give intelligence agents more time to try to coerce Pastor Nadrkhani to renounce Christ and return to Islam. His wife has been sentenced to life imprisonment. They have two small children. In a massive crack-down some 70 believers have been arrested by the authorities since Christmas Day. Most are young converts from Islam. They are being interrogated and coerced. Please pray. On the evening of 30 December 2010, Islamic militants placed a bomb on the doorstep of a home belonging to a Christian couple in Baghdad (Iraq) and rang the doorbell. Fawzi Rahim (76) and his wife Janet Mekha (78) were killed instantly when they answered the door. Three passers-by were wounded. Seven homes were targeted across Baghdad that night, leaving a further 13 people wounded. (Six were Christian homes and one was Muslim, targeted because of the Christmas tree in its front window.) Al-Qaeda in Iraq (Sunni) declared war on Iraq's Christians in November 2010. However, militant Sunnis are not the only threat for, according to reports, Christians living in Shi'ite-dominated areas are intimidated by Muqtada al-Sadr's Mahdi Army (Shi'ite) which pressures them into not celebrating their faith openly. Early on New Year's Day, a massive bomb exploded outside Saints Church in Sidi Bishr, Alexandria (Egypt), just as Coptic Christians (indigenous Egyptians) were emerging from a New Year mass. The bomb, which killed 21 and wounded 79, was detonated by a suicide bomber who had packed his arsenal with nails, bolts and ball bearings to maximise casualties. Christians protested into the early hours, lifting up wooden crosses, some draped with bloodied cloths. When scuffles broke out between Christian and Muslim groups, the police reportedly sided with the Muslims. Copts are understandably anxious about celebrating Coptic Christmas on 7 January. Last year five Copts, mostly youths, were gunned down as they emerged from Christmas Eve mass at St John's Church in Nag Hammadi, Upper Egypt. A further 11 were critically wounded. Whilst the government has arrested the gunman, he has not been convicted. Meanwhile, Africa's ethnic-religious fault-line is under immense stress. The political crisis in Ivory Coast is rapidly heading towards civil war. West Africa, France, the USA and the UN have been quick to endorse Ouattara for various reasons ranging from pragmatism to profit, while disregarding constitutional issues. They have also ignored widespread reports of voter intimidation and fraud in the rebel-held Muslim north which, in violation of all peace agreements, has never disarmed. In Nigeria, ethnic-religious tensions are soaring in the Middle Belt city of Jos as Islamic aggression intensifies. Also Boko Haram (now officially affiliated with al-Qaeda) is escalating its terrorism in Borno, north-east Nigeria. Ethnic-religious tensions are soaring in Sudan ahead of the long-awaited referendum on Southern independence on Sunday 9 January. This has the potential to trigger Muslim-Christian and North-South conflict, as well as ethnic-religious cleansing in the North. Furthermore 2011 may well prove to be a pivotal year for flood-devastated, politically-paralysed, increasingly radicalised Pakistan. On 24 December 2010 many thousands of fundamentalist Muslims joined in a national strike, protesting in Pakistan's major towns and cities against any moves to reform the blasphemy law. In Lahore, a crowd of some 1500 called for 'jihad' and pledged to sacrifice their lives to protect the honour of their prophet Mohammad. The family of Aasia Bibi (45), a Christian mother of five sentenced to death for alleged blasphemy, has fled into hiding because of death threats. Even if Aasia receives a presidential pardon she will remain a targeted woman and the whole family will require asylum in a secret location. On 4 January the governor of Punjab province, Salman Taseer (65), was assassinated by his bodyguard, Malik Mumtaz Hussain Qadri (26), who labelled Taseer a 'blasphemer' because of his opposition to the blasphemy laws. The brutal assassination has further polarised Punjab's conservatives and moderates. Qadri has become an instant hero to pro-Sharia Islamic fundamentalists everywhere. A fan page established on Facebook is attracting thousands of supporters. * defend, comfort and lead all persecuted and threatened Christians, that they will know his strength and his love and not lose heart in these faith-testing times. * pour out a spirit of intercession upon The Church, so that The Church -- desiring spiritual unity, compelled by brotherly love -- will pray and wait on the Lord, just as he exhorts us. In the past week six Christian homes were bombed in Baghdad (Iraq) killing two and wounding 16, and a Coptic Church was bombed in Alexandria (Egypt) killing 21 and wounding 79. Religious tensions are soaring on Africa's increasingly stressed ethnic-religious fault-line: particularly in Ivory Coast where civil war looms; in Middle Belt and Northern Nigeria where dozens of Christians were killed and wounded in Islamic terror over Christmas; and in Sudan where the 9 January referendum on Southern independence threatens to trigger renewed conflict. In Pakistan the year opened with mass strikes by Islamic fundamentalists demonstrating in support of harsh blasphemy laws. On 4 January the governor of Punjab province, Salman Taseer (65), was assassinated by his conservative bodyguard for opposing Pakistan's blasphemy laws. In 2011 the Body of Christ must become serious about the business of prayer (advocacy to the highest authority). Let us pray.